What if I told you that if we examine the consonantal text of the Torah according to its ancient literary conventions, it becomes a 3-D mandala made of words? What if I told you that in the Torah “holiness” is part of an idiosyncratic way of understanding how the cosmos came into being, our place in it (cosmogony) and the nature of reality (epistemology). Our ancient Hebraic ancestors called their system of obtaining and maintaining human and natural sustainability “holiness.” The system components and the things they needed to maintain and balance the system are referred to as “holy.” And what if I told you that this message is so central to Torah that it sits in the eye of the mandala. You would probably say, “show me!” That is what I hope to do at the ALEPH KALLAH this coming July. And, my guess is that in the course of doing so, I will also be showing you a way of reading and interpreting Torah that is different from what you are used to. I first became interested in mandala form and the tendency of the human mind to “mandalize” visual memory in another forum…psychology. I did a master’s in counseling psychology at an Evangelist college in Atlanta, Georgia while I was in rabbinical school. That school did a lot of research on the integration of spiritual and religious parameters into the various psychological theories. It seemed to me then that the mandala, particularly the four-quadrant mandalas of Jungian psychology, related to the horizontal dimensions of psychological geometry—they didn’t really model the “quest” dimensions of the psyche as well as other models. Our Hassidic rabbis psychologized cosmology in a way that addressed both dimensions. The four worlds model of Hassidut gives us a vertical dimension—every soul receives energy influxes from above to below and we “quest” from below to above as we elevate our consciousness toward the most abstract realm of communion with the Godfield. We express those energies in the world horizontally by way of what Rabbi Yosef Yitzchak called “talents.” Today we would call them personality traits. I brought Hassidut into my own research on personality theory and interpersonal psychology. 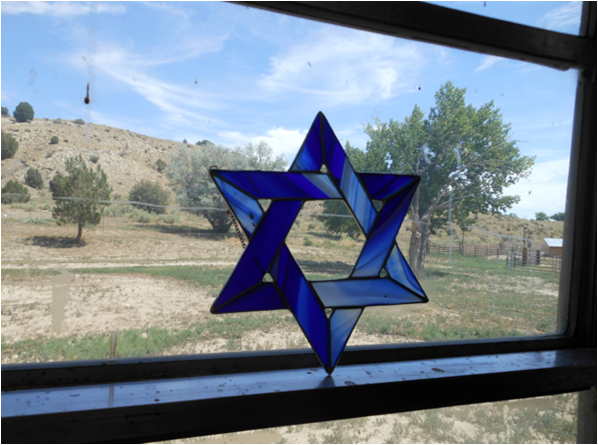 The details of years of research aside, I eventually realized that certain three-D geometries keep repeating – in psychology, in chemistry, in nature, in halakhic reasoning and in Torah. My final halakha project for ordination was about kosher meat. That brought me to reconsider many of my preconceptions about the sacrifices. For the first time (I admit), I got really into Leviticus. That interest continued well after ordination. I read and reread works of Jacob Milgrom, Mary Douglas, and eventually, Moshe Kline. Those works made me aware of the various literary structural forms used in Torah. Those forms arise out of and reify the cosmonology and epistemology of our ancient Hebraic ancestors. I realized that as a Westerner, I like so many others, kept trying to impose a Western linear reading on an archaic document. Reading Torah according to its literary conventions and the cosmonology and epistemology they represent opened a new world of meaning making. I began to experiment with putting these ideas together in my own spiritual practice. I sit on the floor in a meditative pose with my coccyx, spine and head forming the vertical axis, the “quest” dimension, and the fringes of my tallit spread out in four directions. The tzitzit represent the mitzvoth and ethical commandments by which I interact with the world and community. I sit and imagine myself as a mandala anchored by my vertical axis within the greater mandala of the cosmos. On Shabbat I love to “travel” out of the physical world up to watch the angels doing the first “Kadosh, kadosh, kadosh.” I then go out of linear time to watch our people rejoicing after they, we, cross the Sea of Reeds. I can draw energy from the upper world, and send it out to the four corners of the Earth as I pray. Those of you who know me and my husband -Aleph Rabbi Dr. Hersh Saunders- know that we started the Center for Eco-Judaism a few years ago. We farm and ranch on 415 acres in Southern Colorado. For both of us, our Jewish spirituality is expressed and reinforced through our interaction with the land and the growing and processing of our food. I imagine that this land is much like the land our ancestors encountered. Our actual experience here, as well as our study of historical, climatic and archeological information from the ancient world also changed our understanding of much of the Torah and inform the Eco-Judaism courses we teach. And that, in an abbreviated nutshell is a description of the many experiences and channels of research that feed into the river flowing through the course I am offering at Kallah: ECO-JUDAISM: THE TORAH MANDALA AND THE MYSTICAL SYSTEM OF SUSTAINABILITY. On a personal note, I am teaching this in the hope that it will invite other Torah students to join me in developing Eco-Judaism as a way of life. For it to be rich and compelling we need midrash, commentary, praxis, and responsa. There is a lot of room for creative thought and collaboration, here. As the saying goes, “iron sharpens iron.” The synergy of our collective mind will, no doubt, take us places we might never go alone. Effort is its own reward. We are here to do, and through doing to learn; and through learning to know; and through knowing to experience wonder; and through wonder to attain wisdom; and through wisdom to find simplicity; and through simplicity to give attention; and through attention to see what needs to be done. 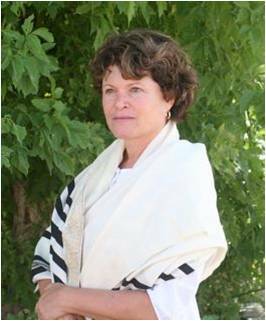 Rabbi Elisheva Brenner, JD, LPC, NCC, “the foodie rabbi,” will be teaching ECO-JUDAISM: THE TORAH MANDALA AND THE MYSTICAL SYSTEM OF SUSTAINABILITY at Kallah 2013. To learn more about her work see her website at www.centerforecojudaism.com. Aside from her work as director of the Center for Eco-Judaism, where she is a rabbi, teacher, farmer and rancher, she is usually cooking. Posted in ALEPH Kallah, General Interest, Learning Opportunties, Renewal Communities and tagged aleph kallah, eco-Kosher, EcoJudaism, ecokashrut, jewish community, jewish renewal, Kallah. Bookmark the permalink.